Students at Thomas J. Lahey Elementary School in the Harborfields Central School District participated in “Maggie’s Challenge” October 1-15. This challenge, which is a part of “Maggie’s Mission”, is an annual two-week fundraiser that consists of challenges designed to foster a positive environment, and mirror Maggie’s joyful spirit, to raise awareness and funds for childhood cancer. One of the challenges in particular was learning to practice yoga, and to enjoy the relaxation and centeredness gained from implementing it. 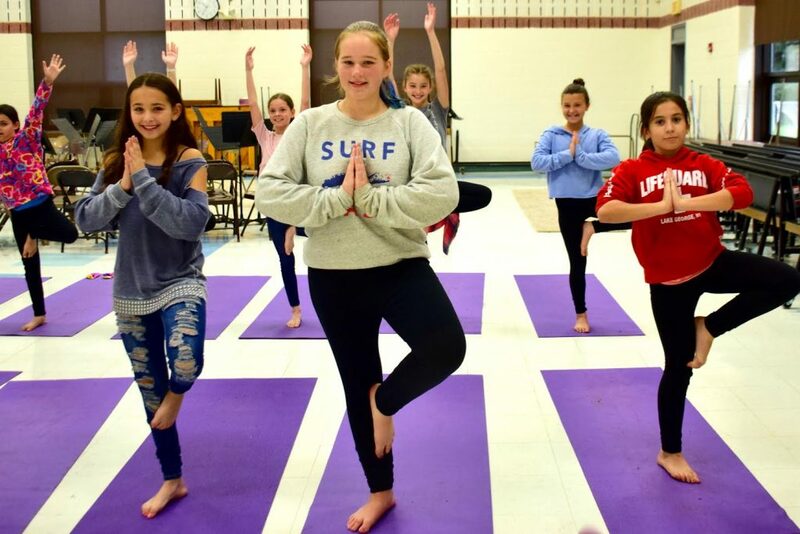 TJL teacher Mrs. Susan Crispino taught students throughout the school the benefits of yoga, and students enjoyed learning poses such as peaceful warrior, the tree pose and more. Additionally, students were encouraged to wear gold for childhood cancer awareness and to bring in donations for “Toys of Hope” in memory of Maggie Schmidt.